Serve a fabulous soup in under 30 minutes with this Easy Ravioli Soup. 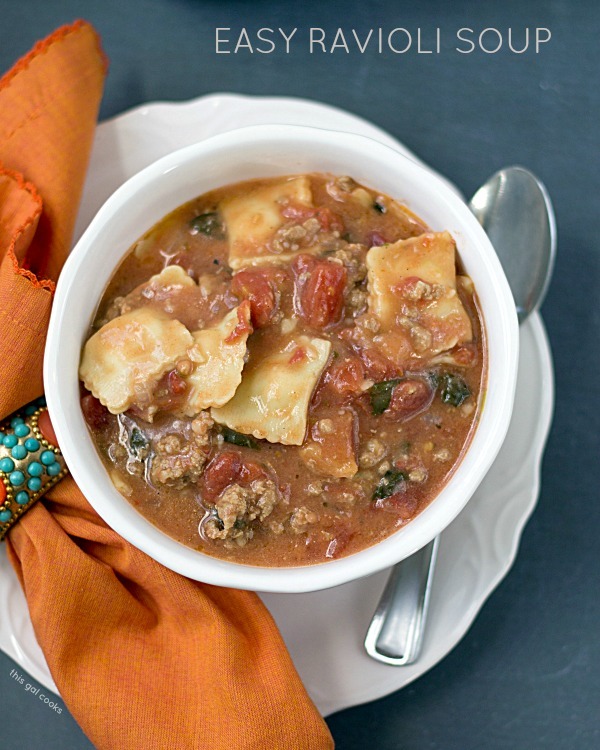 Cheese stuffed mini ravioli, spinach, ground turkey and spicy red pepper tomatoes are just a few of the goodies in this savory soup! I’m such a slacker. I made this recipe sometime last year. I think it was in August or September and I’m just now getting around to posting it. Well, maybe I’m not a slacker. Maybe I just posted other recipes as I made them and then forgot about this one. Whatever the case may be, I’m finally posting this! I just happened to stumble upon the photos while browsing through my files earlier today. I’m glad I did because you are going to love this soup. Its got a little spice to it, it’s easy to make and it’s ready in 30 short minutes. This recipe was a “let’s use up pantry items” recipe. Those are always great because your creativity always shines when throwing a bunch of random stuff together. Plus, you save money because you don’t have to run to the store to get items for a specific recipe. Everything is right there in front of you…or hidden in your pantry. Of course, if you don’t have the items on hand to make this recipe, you can always use what you have on hand. Or you could pick up the items the next time you’re grocery shopping. I usually have diced tomatoes, onions, garlic, tomato sauce and beef bullion on hand. I just happened to have ground turkey, fresh spinach and mini ravioli on hand because they were on sale the day I filled my cart with them while grocery shopping. This was something I made after work one day. You know me. I don’t like to spend loads of time in the kitchen after a long day at work. So you know this was easy to make! Cook the ravioli according to package directions. Set aside. In a large pot, brown the meat, remove from pan and set aside. In the same pot, heat the olive oil over medium heat. Add the spinach, basil, onion and garlic. Cook until the onion is tender. Add the sherry to the pot and deglaze. Return the meat to the pan and add the broth, bouillon, tomatoes, tomato sauce, sugar and oregano. Whisk together the milk and flour and add to the pot. Mix well. Stir in the pasta and bay leaf. Simmer 15 minutes and then remove the bay leaf. If you want a little extra heat in the soup, add some crushed red pepper flakes before you let it simmer. 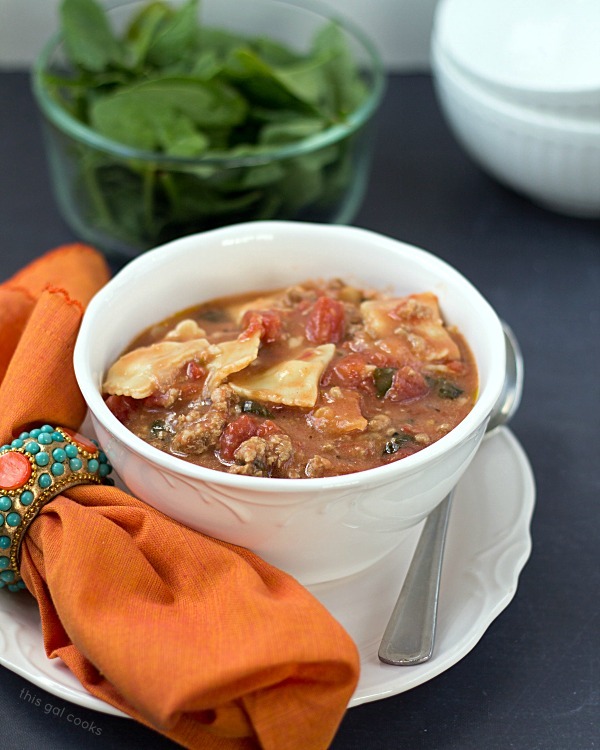 I love how hearty this soup looks, It’s perfect for the cold winter nights! Oh This looks so hearty and yummy! Perfect for this freezing winter day! I am ready for a soup like this to get me through the winter. 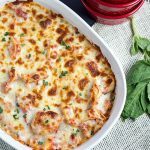 Glad you stumbled on the photos and shared this recipe! I’m glad I did too! I guess it was perfect timing for this cold weather (that by the way, I am not getting to enjoy here in South Florida!) Stay warm, Holly! On a freezing cold day like this, this soup looks so comforting and delicious! Pinned. I hope you are staying warm, Kelly! We are traveling to NC in couple weeks and I see they are getting snow in Raleigh (which is where we are going) right now. Now call me crazy but I hope it snows while we are there. I’ve never seen snow! Thanks so much for stopping by, Kelly! 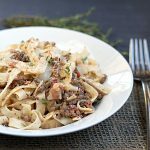 I love these types of recipes, where you have everything in the pantry and you need something quick and easy during the week. 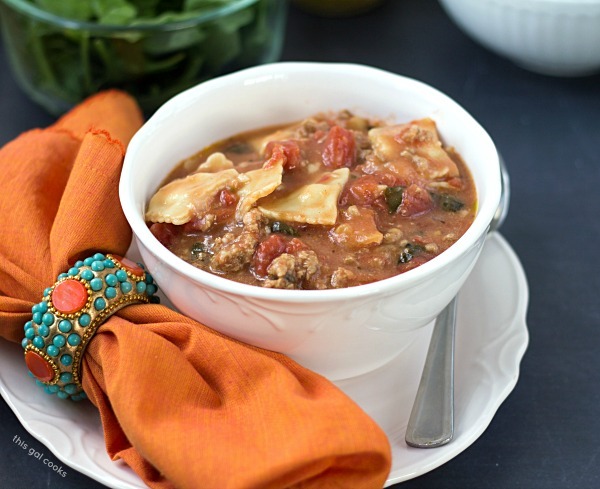 I have a tortellini soup that I usually make when I need something quick and comforting, but I will definitely have to try this ravioli soup next time! I definitely need some easier type meals when I come home from work and since it has meat in it – well, then I know John would love it also! Thanks for sharing this from the ‘vault’! Wow! I’m glad you found the pictures too. This looks delicious! Love all the italian flavors in it plus the cheese ravoli. We have a winter weather warning tomorrow and this sounds perfect! Pinned and sharing Julie! Thank you, Krista! Stay warm. We were in the 80s here today. I miss the colder weather we had last week! Love me a pantry soup — especially if it involve ravioli (my favorite pasta!). I could really go for this right now, my body just can’t warm up! 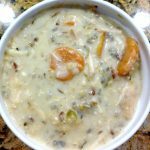 I saw this amazing looking soup on Pinterest and added it to my menu plan for next week. I can’t wait to try it out! Thanks so much for sharing! You’re welcome, Chelsea! Thank you so much for stopping by! This soup looks so wonderful and hearty Julie! I know my kids will LOVE this! With days getting colder and colder, this soup is perfection for warming up! This looks great, Julie! :) I would probably be even more lazy and dump a jar of pasta in this instead of the tomato sauce, & spices, and all, lol! Love a good comforting soup! Made this tonight and it was sooooo good! My fiancée loved it as well. Perfect for the cold night ! I look forward to trying more of your recipes.